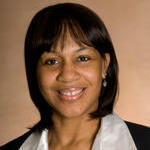 Yakiciwey Mitchell is the founding consultant of Edifying Nations Consulting in La Mirada, CA. Their mission is to build up nations by building up people – mind, body, and spirit. Using more than two decades of social welfare and human service experience, they provide an array of consultation and supports to social/human services organizations. Previously, Yakiciwey was Senior Director of the Los Angeles County Field Office and Strategic Consultation for Casey Family Programs. In this role, she directed service delivery to youth and families in the foster care system and consults with public child welfare and related systems to promote the reduction of youth in care and improved outcomes for youth in care. Raised in Lynwood, CA, Yakiciwey’s family roots are in South Los Angeles. Following college, she began her career developing and implementing community-based social service programs through public/private partnerships in South Los Angeles. She is skilled in results-based facilitation, strategic planning, collaborative partnerships, community engagement, and constituency engagement. Prior to joining Casey, Yakiciwey directed a large community-based organization serving South Los Angeles; managing a multi-million dollar budget and over 100 employees to administer family preservation, family support, and mental health programs. Yakiciwey has a strong belief in the value of community and family. She is passionate about improving outcomes for vulnerable children and families. She is committed to developing and promoting community and public/private partnerships to improve systems. Yakiciwey received her Bachelor’s degree in political science from UC Santa Barbara and her Master’s degree in social welfare from UCLA.